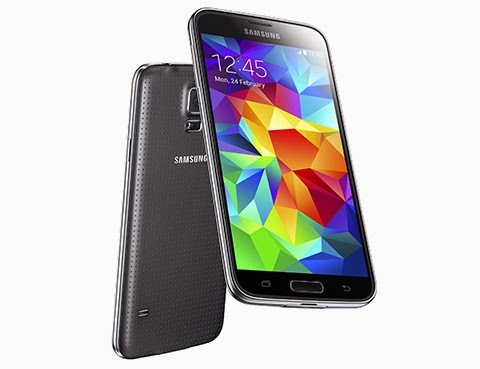 Samsung has just announced its latest flagship device, the Samsung Galaxy S5. The Samsung Galaxy S5 features a stunning 5.1-inch Full HD (1920×1080) Super AMOLED display with Local Contrast Algorithm, Super Dimming and Adaptive Display technology, a faster 2.5GHz Snapdragon 801 Quad-Core CPU with Adreno 330 GPU clocked at 578MHz and 2GB of RAM. The Samsung Galaxy S5 has 142.0 x 72.5 x 8.1mm in dimension and weighs 145g. The Galaxy S5 comes in 2 storage options: 16GB and 32GB. The storage is also expandable up to 128GB via MicroSD Slot and has a removable 2800mAh battery. No details yet on pricing and availability but the device is coming in various colors such as charcoal black, shimmery white, electric blue & copper gold soon.